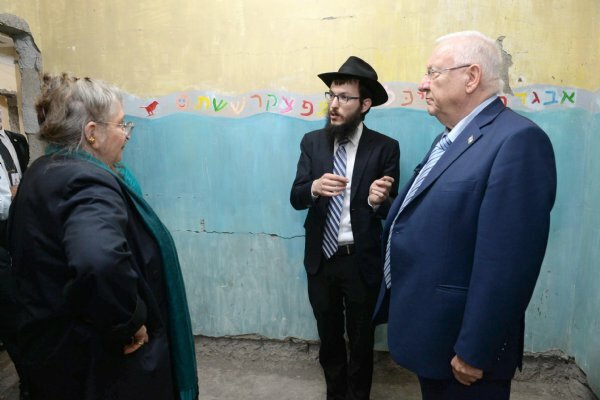 President Visits Unchanged Room During a state visit to India, Israeli President Ruvi Rivlin paid tribute to the victims of the 2008 Mumbai terror attacks at the Chabad House. 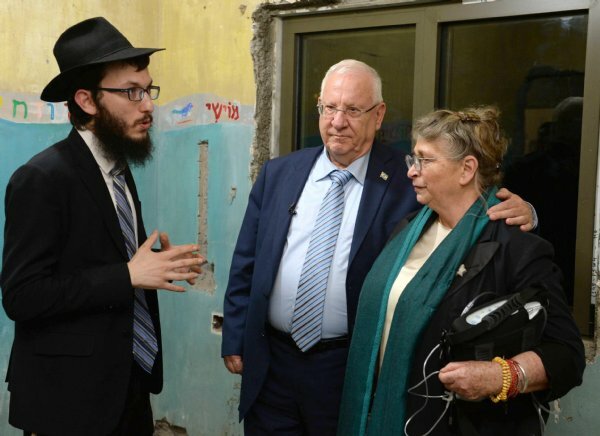 Rivlin and his wife Nechama Rivlin, accompanied by security detail, toured the five-story Nariman House in the Colaba area of South Mumbai, home to Chabad and the deadly attack. 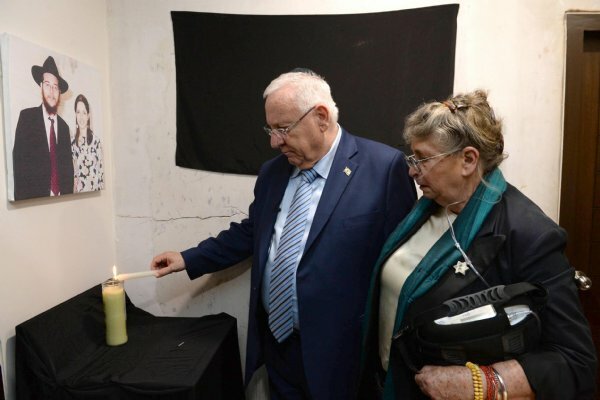 The President lit a candle and took to reflect on an image of Rabbi Gabi and Rivky Holtzberg, the Shluchim who opened their home to guests and were murdered by terrorists. Also being honored were the additional victims of the attacks: Rabbi Bentzion Kruman, Rabbi Leibish Teitelbaum, Yocheved Orpaz and Norma Shvarzblat Rabinovich. Welcoming the Rivlins to the rebuilt Chabad House were the current Shluchim Rabbi Yisroel and Chaya Kozlovsky who have been operating the center and its activities since 2014. While the building underwent a full renovation since bullet holes pearced its walls, the Rivlins got to visit the single room that remained unchanged: The bedroom of Holtzberg's child Moishy. Kozlovsky mentioned how Moishy, 2-years-old during the attacks, made his way down 3 stories on his own and met his Indian nanny, Sandra Samuel, on the second floor. She rescued him and both remain in close contact until today. "How much sensitivity of a mother there is in this room," Mrs. Rivlin commented on seeing Mrs. Holtzberg's drawings on the wall of Aleph Beis letters. President Rivlin recalled welcoming Moishy Holtzberg and Sandra Samuel in the president's mansion in Jerusalem. "When I saw Moishy, I couldn't but think that 'Am Yisroel Chai'," he said. "And today, here, in this Chabad House that provides a warm home to Jews from around the world on a daily basis, I think the same. Am Yisroel Chai." The President and his wife then affixed a plaque on the wall of the Chabad center with the inscription from Talmud (Tractate Baba Bathra 10b): "No creature can compare to the martyrs."